Mike Gallagher has a broad range of experience in litigation in state and federal courts throughout the Western U.S. and Alaska and before various arbitration forums. He is a trial lawyer who has handled and tried cases in many substantive areas. In recent years, he has focused his practice on litigation involving commercial and environmental issues impacting natural resources companies. For the oil and gas industry, he has handled major criminal environmental cases, royalty disputes, partnership disputes and surface owner disputes. For the metals mining industry, he has handled Superfund litigation, contract disputes, and a variety of environmental cases. For the coal industry, he has handled numerous long-term coal contract and contract mining disputes. He has also served as an arbitrator in coal industry cases. Mr. Gallagher is a fellow of and has served on the Colorado State Board of the American College of Trial Lawyers. He is also a member of the Bars of the State of Colorado, U.S. District Court for the District of Colorado, and U.S. Courts of Appeals for the Ninth and Tenth Circuits. He has taught numerous continuing legal education courses concerning the trial practice in general and the trial of natural resources matters in particular. Mr. Gallagher has been recognized as a BTI Client Service All-Star, Chambers USA “Leader in Their Field” in Litigation: General Commercial, Benchmark Litigation Local Litigation Star, and named among The Best Lawyers in America® in Bet-the-Company Litigation, Commercial Litigation, and Litigation: Environmental. 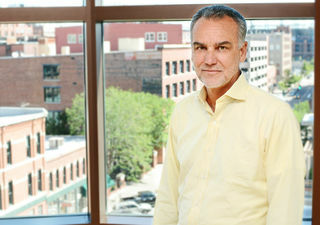 He has also been selected for inclusion in Colorado Super Lawyers, Who’s Who Legal: Environment, and 5280 Top Lawyers. He is an Ex Officio member of the Colorado Judicial Institute and formerly served on the Law Alumni Board at the Duke University School of Law.